Here it is! 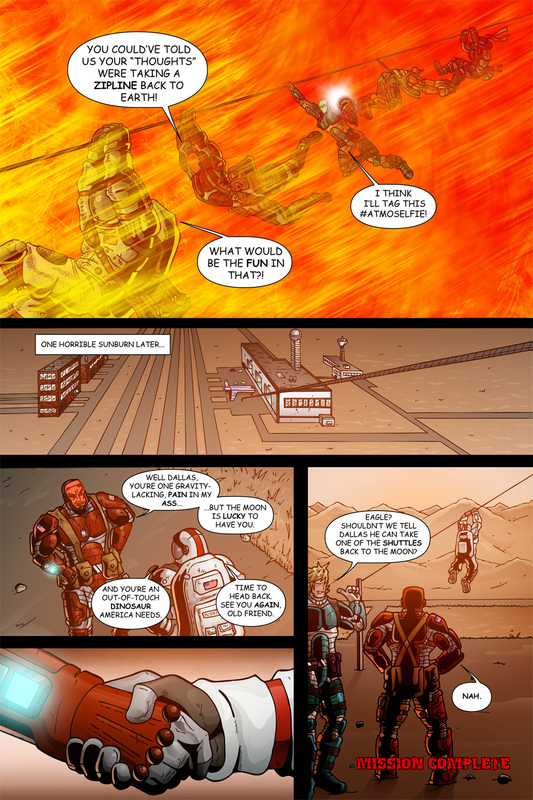 The final page of Mission 007! It’s been a VERY long road to get here. I’ve gone through two jobs and lived in 4 different houses during the course of making this issue. I really hope that some of my personal issues didn’t affect the quality of the Mission. Team Stryker will always be my happy place and no matter what goes on outside of it I know I can always sit down and draw until everything else doesn’t seem as important. Mission 008 isn’t ready for it’s debut yet so I’ll be posting either fan art, sketches, character designs and other pieces of art I can find around my art desk. I’ll be sure to keep you all updated when you can see Mission 008 but be sure to follow Team Stryker on Facebook and Twitter for the minute-to-minute updates.